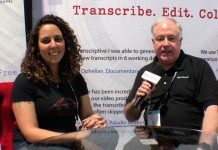 At the SuperMeet at NAB in Las Vegas, video is the focus, but you can’t have good video without good audio. 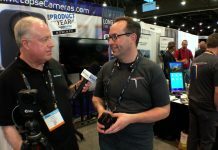 Marc-Andre Ferguson, Senior Product Manager for Landr, tells us what their service, which has been available to musicians for a long time, is now offering to video producers. With features like automatic leveling, background noise reduction and optimized loudness, Landr can easily and affordably improve your video’s audio.